Provide comfort for the family of Rafael Casiano with a meaningful gesture of sympathy. 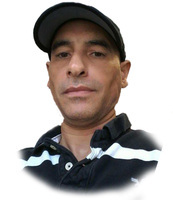 Springfield - Rafael Casiano, 51, passed away Monday, January 21st, 2019 at Baystate Medical Center. Rafael was born in Orocovis, Puerto Rico on June 26th, 1967 to his parents Teodoro Casiano and Carmen Perez. Rafael was predeceased by his father, his brother Jose Antonio Casiano and his companion of 17 years Maribel Milanes. Rafael was very much loved and he will be missed. Rafael leaves to cherish his memories, His Mother; Carmen L Perez, a Brother Hector L. Casiano and wife Terri Casiano, 2 Sisters; Janice Casiano and Rosa Arce and husband Ramon Arce his Stepchildren; John, Zenia and Marcell, 13 grandchildren, nieces and nephews, many family and friends. Calling Hours will be on Friday, January 25th, 2019 from 9:00 am 11:00 am at Puerta Del Cielo® Funeral Home 730 State Street Springfield, MA 01109, followed by a burial in Oak Grove Cemetery 426 Bay Street Springfield Ma. To send flowers in memory of Rafael Casiano, please visit our Heartfelt Sympathies Store. Provide comfort for the family of Rafael Casiano by sending flowers.